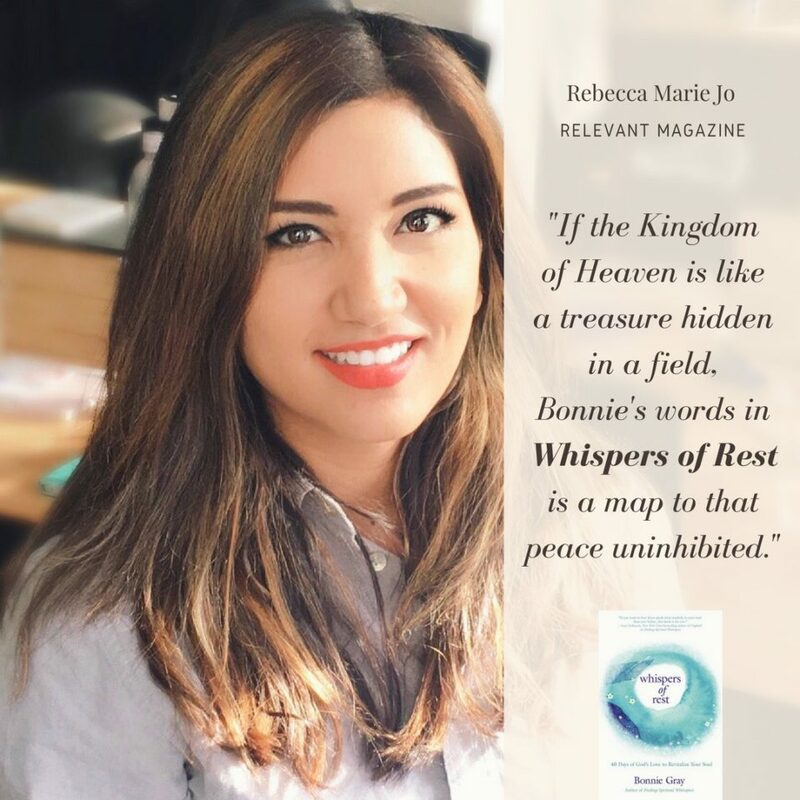 BONNIE GRAY is author of Whispers of Rest: 40 Days of God’s Love and Finding Spiritual Whitespace: Awakening Your Soul to Rest. An inspirational speaker and retreat leader, she has touched thousands of lives through storytelling, visual arts, nature, prayer and meditation. Publisher’s Weekly named Bonnie Top 6 Notable New Religion Authors. Her writing is nationally syndicated and has featured in Relevant Magazine, Catalyst Leadership, Christianity Today and McClatchy-Tribune News Services. 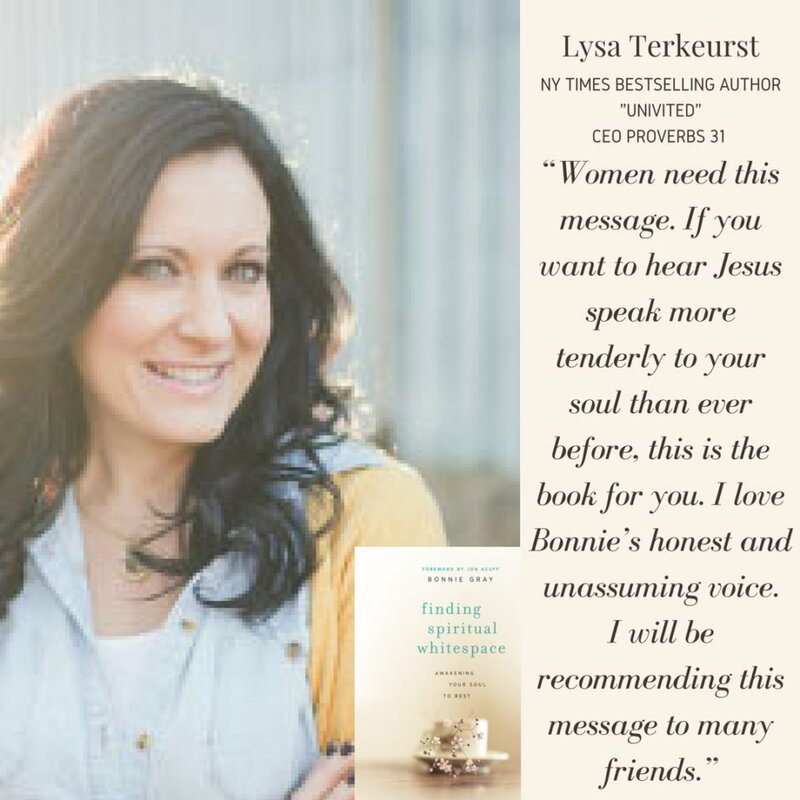 Her book Finding Spiritual Whitespace: Awakening Your Soul To Rest is listed in Top Ten Books for Christian Women by Crosswalk. About Bonnie: After graduating from UCLA with a computer science and engineering degree, Bonnie served as a missionary, a ministry entrepreneur and high-tech professional in Silicon Valley. Bonnie lives in California with her husband, Eric, and their two sons. 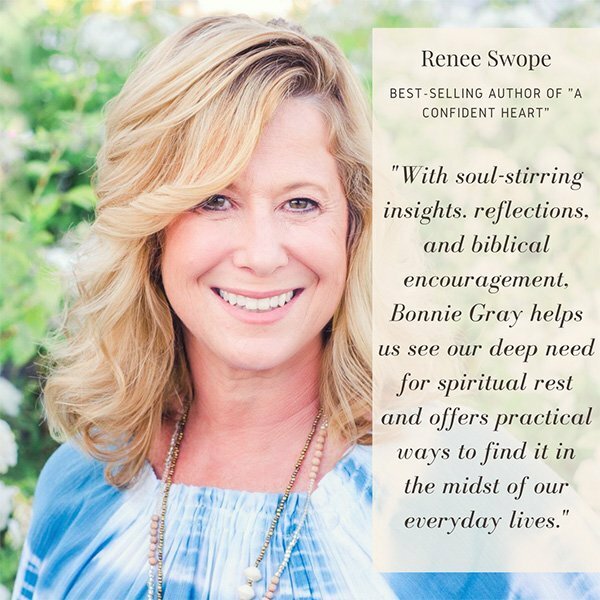 Bonnie is a soulful and passionate speaker on topics of soul care, spiritual growth, prayer, meditation, healing, storytelling, creativity and finding God in daily grind of everyday life. 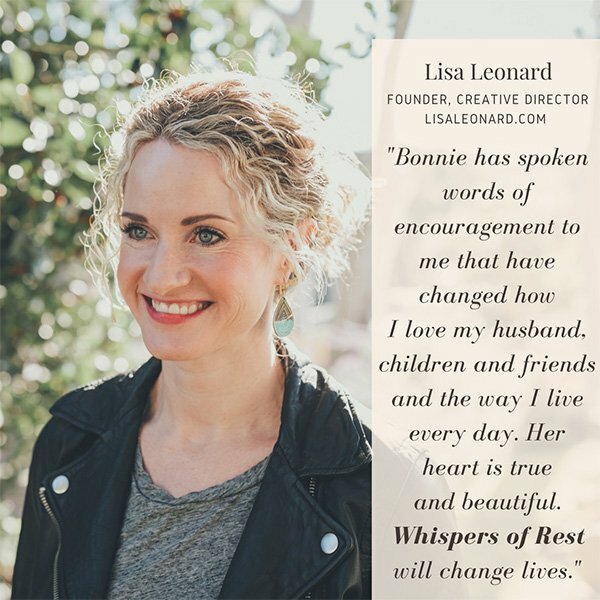 Bonnie loves working with churches, ministry and community groups to craft speaking sessions customized to meet the needs of your gathering, to guide and nurture spiritual refreshment as well as connection between those who come, to experience deeper individual journeys of faith. Workshop and Retreat Topics: Creating space to restore intimacy with God, the journey towards self-discovery through God-discovery, spiritual growth, deepening soulful connections in life, emotional healing, the importance of uncovering one’s story, soul care, storytelling, prayer, meditation, and journaling. Bonnie’s Retreat experience is interactive with powerful application of truths being taught. “I can’t thank you enough for the work you put in to the weekend. I am still hearing positive feedback about people’s experiences, and that is a pretty rare thing two weeks after a retreat for us. There is a real sense that people can’t go back to the way things were for them before, and the feedback I have received indicates that for most this was the first time they had done anything like this, and that something has changed in them. – Captain Rob Sterling, U.S. Army Military, Warrior Transition Battalion, Fort Campbell, KY.
“Bonnie spoke to Mothers Together at Menlo Park Presbyterian Church. Her talk was incredibly well received by our mothers. She made herself available throughout the planning process to make sure her message was appropriate for our group. I really appreciated the thought and time she put into meeting me, learning more about the mothers she would be speaking to, and our goals for the morning. Bonnnie’s talk was a mix of storytelling, teaching, time for personal reflection, and group discussion. My only complaint was we needed more time with her! She did a wonderful job of engaging the audience and inspiring us to create “whitespace” in our own lives. 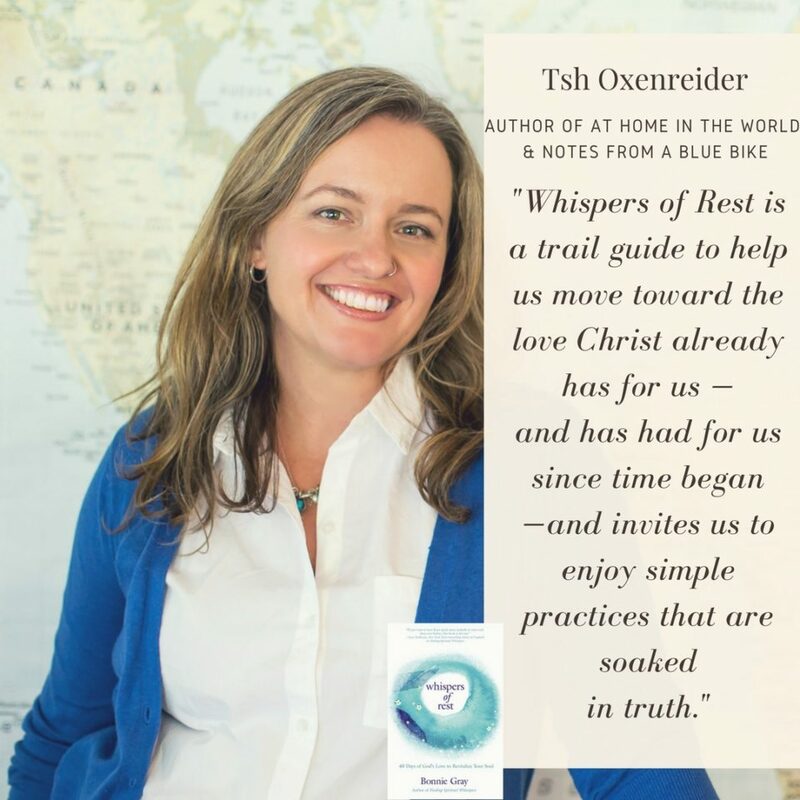 – Alison Rao, Mothers Together Ministry Leader at Open Door Church, Mountain View Campus of Menlo Park Presbyterian Church (pastored by John Ortberg), CA. 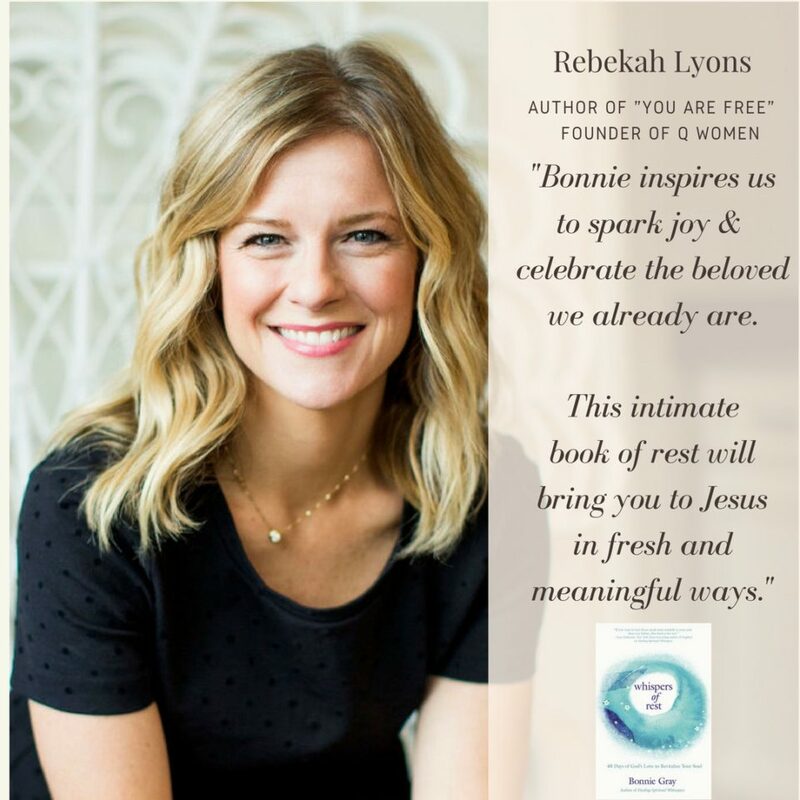 “Using her own journey and experience, Bonnie inspired us to treat ourselves like the beautiful, handcrafted artwork/poetry that God has made – Ephesians2:10 ”for we are God’s workmanship…”  To take time to do something kind for oneself; take care of oneself by receiving God’s love and allowing God to speak to us in new ways. We were blessed to discover the reality of God’s power as Bonnie courageously shared painful episodes in her story and God’s loving presence which heals. Moms in our community learned to nurture their own soul areas, so that they can nurture their children and husbands with the fruits of the Holy Spirit. Moms’ Time Out ministry team, Abundant Life Christian Fellowship. Palo Alto, CA. – Marlene Hekkert, Mothers Together, Menlo Park Presbyterian Church, Menlo Park, CA. 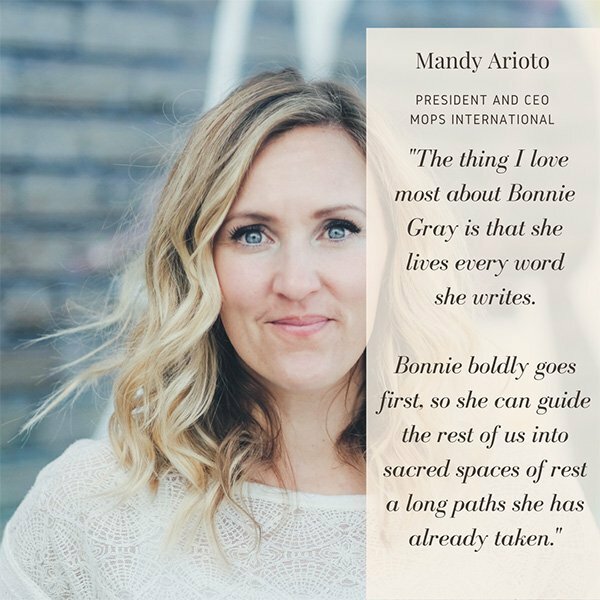 “The words I heard most from our ladies were “dynamic” and “powerful.” One gal talked about how easily Bonnie took the room to a place where the women could feel vulnerable and could talk freely and openly. The women definitely connected with what Bonnie was saying/teaching. They loved the Painting Activity and the Picture of Myself activity… going back to our childhoods was fun and instructive! My personal favorite was the Lectio Divina activity. Women’s Ministry, Valley Christian Church, Pleasanton, CA. 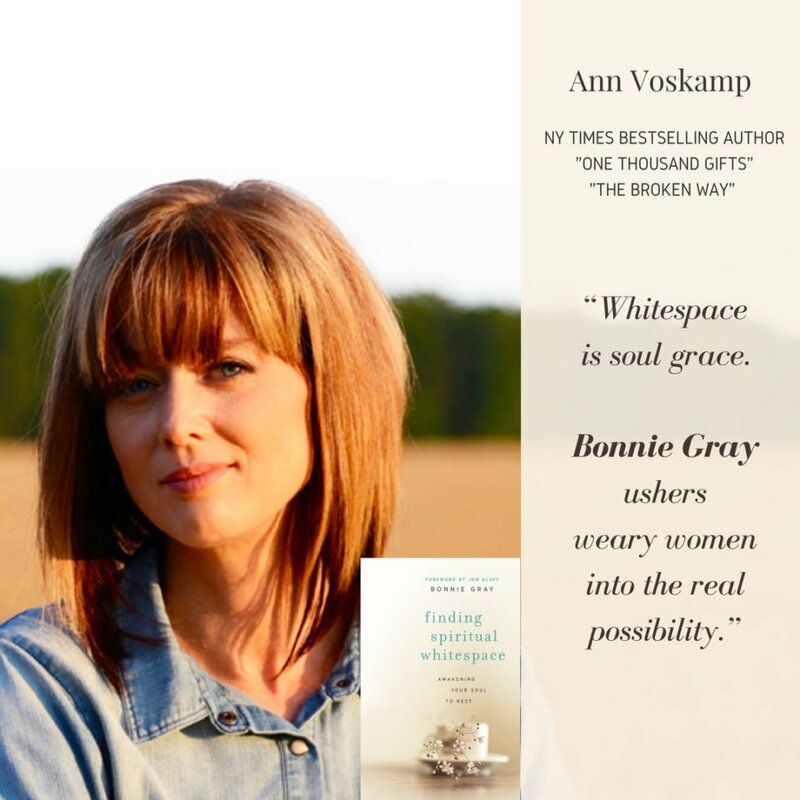 The Women of Grace Fellowship Church were truly blessed to have had Bonnie Gray as the speaker at our Getaway this year called Finding Spiritual Whitespace. 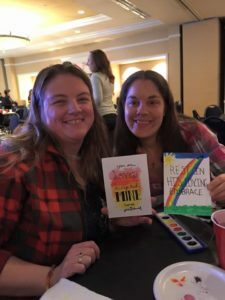 She was not your typical retreat speaker who just taught about Whitespace – she beautifully wove together scripture, her powerful story, personal reflection activities and group discussion. We not only learned about Spiritual Whitespace but experienced it in a deep way. Women left refreshed having gotten in touch with their souls and their own stories in a profound way. Not only did they get in touch with themselves, but they left touched by Jesus deep within. As Bonnie courageously shared her story, she gave women to take a courage look at their story and healing began. The experiences that Bonnie led our group through were wonderful. The group discussion and activities really fostered an amazing sense of community. In fact, many women commented that they felt more connected to other women on this retreat than in the past. Women had so much fun!! The activities that Bonnie led us through really created an amazing atmosphere to break down walls and help women connect. One of my favorite parts of the whole weekend was the Paint Night that we did. 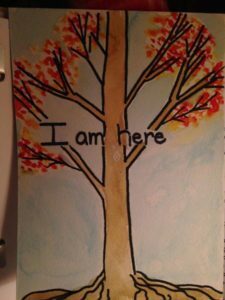 One woman with a severe physical disability painted for the first time in her life. It was an amazing moment – there was not a dry eye at her table. 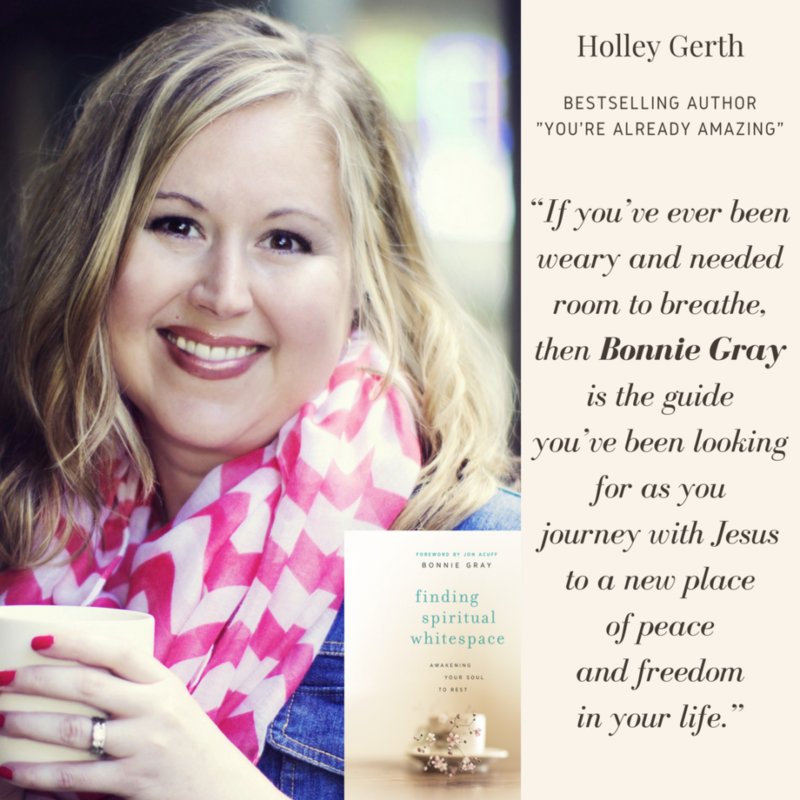 Bonnie created an amazing environment where women were free to try new things and the Spirit of God showed up in powerful ways. Bonnie also deeply values prayer and it was evident that she relied on the Spirit throughout the entire retreat. She had a deep love for the women of our church – standing in line for 6.5 hours to sign books, greet them personally, hear their stories, cry and pray with them. What a gem! God used her powerfully to help the women of our church get in touch with Him, themselves and each other. Her creativity and authenticity were phenomenal and inspired women to desire to make room for Whitespace in their lives. Even 2.5 months after the retreat I continually hear women referencing what they learned, how they were changed, and how God moved in their lives through Bonnie. Women’s Ministry, Grace Fellowship Church, Timonium, Baltimore. 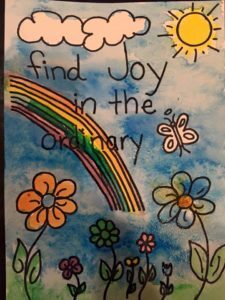 Bonnie Gray was teamed with Margaret Feinberg for California Women’s Retreat 2016, Journey with Joy. Bonnie was very well received by the women at CWR. She has a wonderful, calming delivery that drew the women in immediately. She used her time to not only speak to the women, but to also engage them in activities that allowed them to participate in her message. 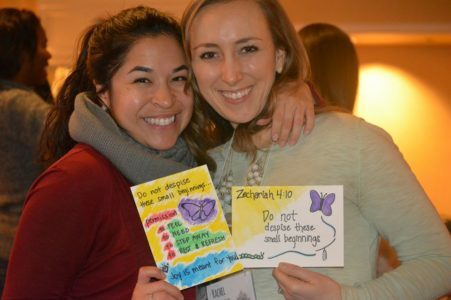 The women loved the interactive projects designed to draw them to the Lord and each other. One of the especially wonderful things about Bonnie is the way she engages with her audience both during her sessions and in between her sessions. She cares deeply about women coming to know the Lord in a refreshing and joyful new way.